Marvel began releasing short films back on the Thor and Captain America Blu-rays, and they’re poised to premiere the latest short, Item 47, later this week at Comic-Con. This one stars Lizzy Caplan and Jesse Bradford as a hard-luck couple who get their hands on an alien gun that comes into their possession following the events of The Avengers. Two S.H.I.E.L.D. agents (Maximiliano Hernández and Titus Welliver) are tasked with retrieving this Item 47 from the couple and stopping their crime spree. It’s a really fun premise, and I’m looking forward to checking out the full short. 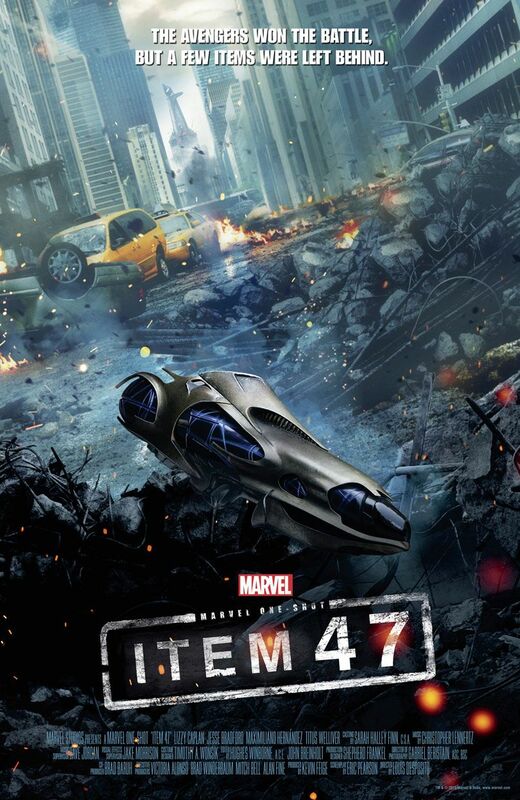 A poster debut for Item 47 has just landed online, along with a brief clip that was released earlier, and you can take a gander at both after the jump.